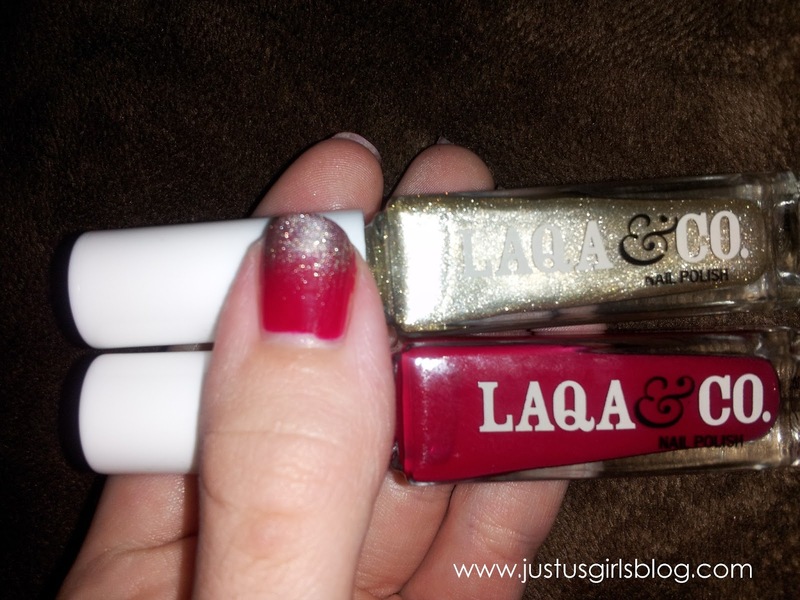 Just in time for the holidays, I received two LAQA & CO. nail polishes to review! Perfect, since this is the time that I actually try to put an effort into the appearance of my nails (it’s all about the details, after all!). I was given two colors to try out, Greedy Guts (a festive red) and Chubs (which is a sparkly, light, very light gold). And how can you possibly go wrong with red and gold during the holidays, right? You can’t! Well, if you have my polish application skills, maybe you can go wrong, but the effort was there and so were the overall feelings of the holidays through the colors. The shape of the nail polish bottles was perfect for me! I usually do my nails sitting on my couch, with the bottle resting between my knees (I know, I’m begging for a beautiful mess!). The long, rectangular shape to the bottle made this a breeze for me! The longer stick to the application brush caused less control than I like, but I got the hang of it after a couple nails. The nail polish lasted about as long as any other decent name brand (with use of a top coat). The packaging makes you want to return the nail polish back to its original box that it came in. Each nail polish box is embellished with original art from various artists. Definitely trendy, cute and enables my urge to keep things that might (just might) be unnecessary, and a contribution to my “pack-rat” status. 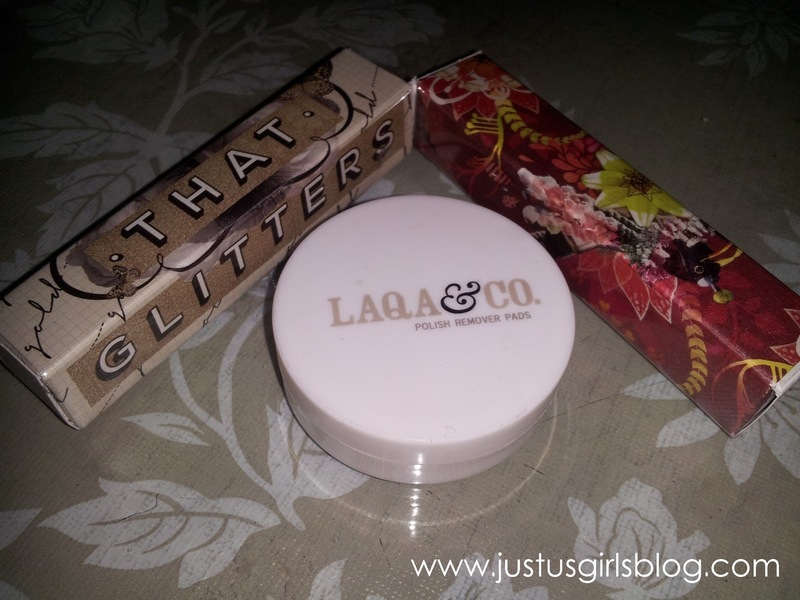 In addition to the lovely LAQA & Co. nail polishes, I also received their brand of nail polish remover pads. This was great! The ingredients used weren’t the usual stinky, dry out your nails and the skin around them, alcohol base. They seemed to be more of a nourishing oil type of remover. I picked out one pad to remove my polish, and as I was working on my first nail, the pad split into two…I just went with it, put back the second pad, and continued with the one very thin pad. I removed the polish from all of my fingers with this one, tiny pad! Awesome! I will definitely want these again when I run out, which, I have a feeling won’t be for a very long time! The only down side is that I had to wipe off my fingers with a dry tissue after I was done to remove the oily film that was left behind. I loved my experience with this product!